We were pleasantly surprised when a popular website and blog, The Goodmen Project, brought attention to a Muse video in a recent article. 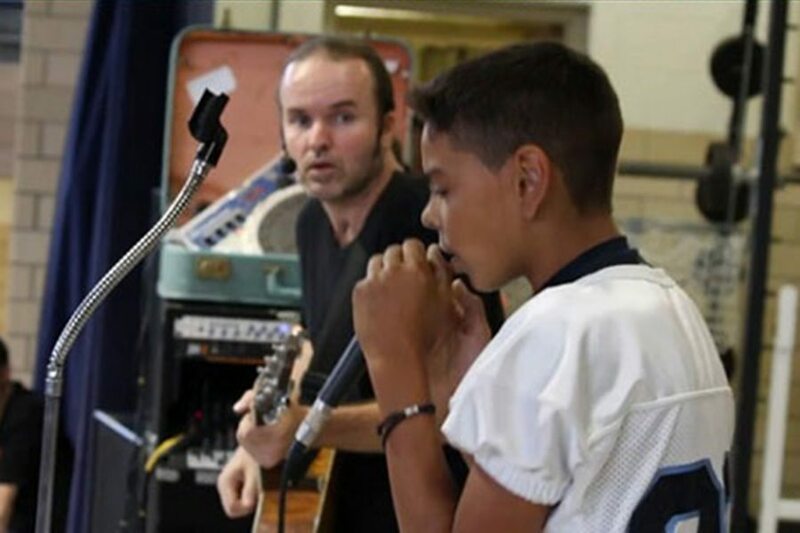 Some of you may recall the video: while touring and performing in schools, a Muse artist—guitarist Michael Kelsey—asked off-the-cuff if there happened to be a volunteer in the audience who knew how to beatbox alongside his guitar playing. A student came to the stage.